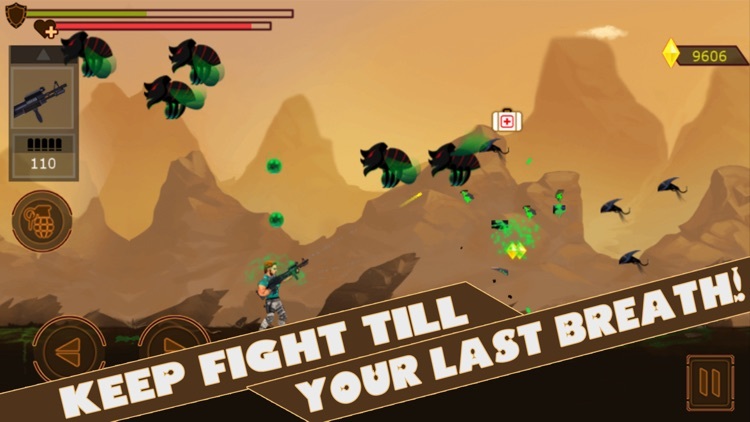 Play Now: Ultimate shooter game for FREE! Unseen top shooting game. World reached to the year 2100! 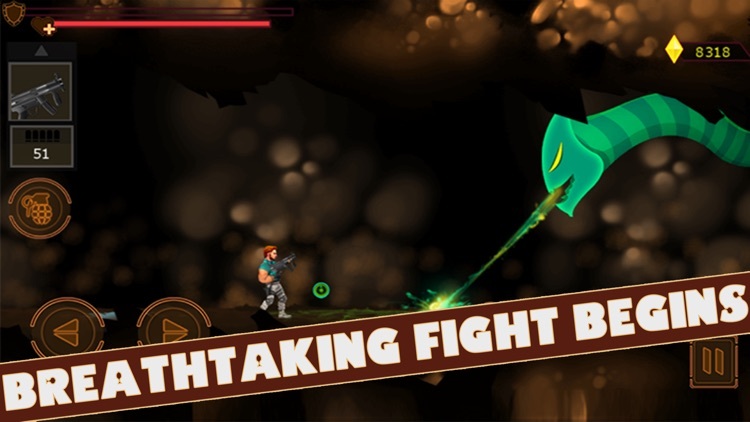 Aliens almost grabbed its Victory after many fights with humans, but you have a last chance to still breath and save the world! So last chance You kill all of them and recreate world OR be killed by them! 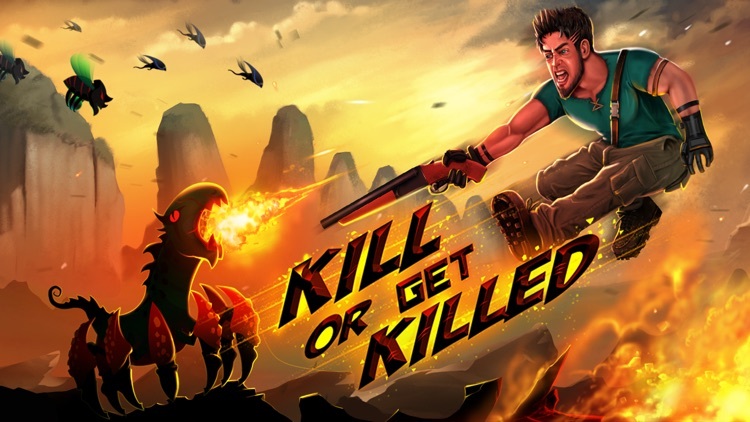 Kill or Get Killed is a shooting game carefully designed for mobile and other touch devices and the gameplay and control scheme reflects that. 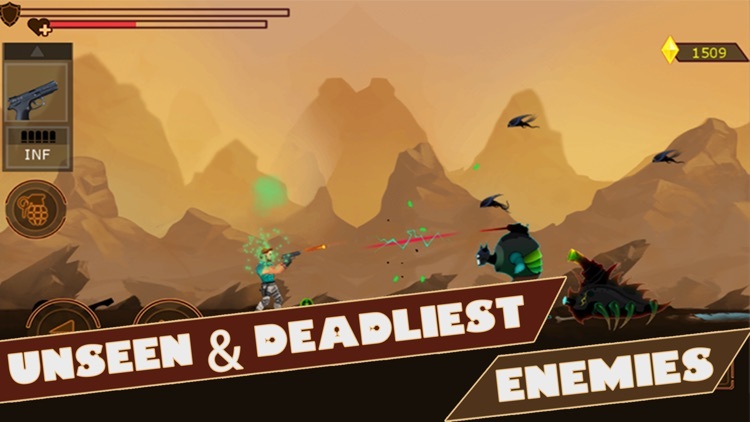 In this alien shooter game, movement is controlled by the on-screen buttons and you just have to tap on the screen to shoot. You get to live the escape phase of a soldier's life who is left alone amid hundreds of aliens. With the wise use of weapons and his cautious finger on the trigger, he must hunt down the blood-thirsty aliens to survive the apocalypse. Take a deep breath and set your foot into the boots of a lonely soldier that must kill or get killed by the enemy. This arcade shooter will present before you one of the most difficult alien killing games you might have played. To beat the difficulty, however, we have provided you with a good variety of guns each of which can be pretty useful in certain situation. It depends on you to decide which weapon will be the best for which situation. 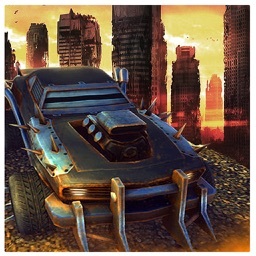 The weapons are also upgradable that make them more powerful eventually turning them into the ultimate killing machine you have always wanted to own. The alien enemies have different behaviours. Some of them are ranged and keep dodging constantly while throwing projectiles at you. Others like the alien scorpion are those that are weak but attack in numbers. They are not dangerous by themselves, but are irksome and prove to be a harmful distraction when they appear with other enemies. Another useful purchase is jetpack. Jetpack allows you to jump to good heights. The high thrusts can be utilized to gain advantage to dodge your enemies at times when you most need it. Jetpack can also be upgraded to reach greater heights. Jetpack jumps are limited and must be used carefully and only when required. 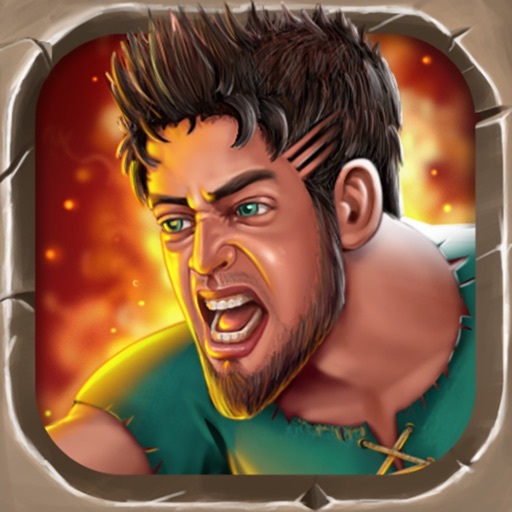 Take a deep breath and get into the deadliest world! 4. Enemy types that not only look but behave differently. 5. Gameplay carefully balanced for optimum experience. 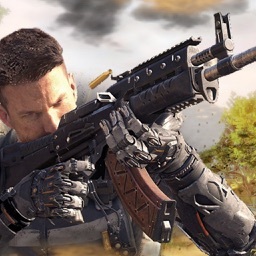 Assault Rifle – This is your primary gun as you start the game. With a moderate ammo capacity and good damage this gun helps you survive the first couple of levels. 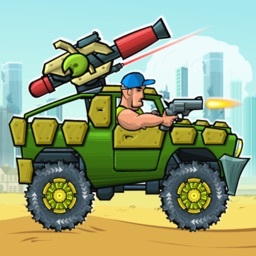 Machine Gun – Powerful and elegant, this fully-automatic weapon gives you a reliable way to shoot into relentless enemies. 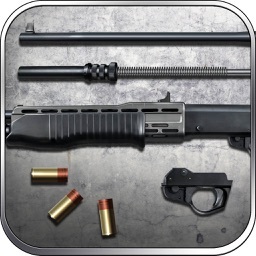 Shotgun – Low range but deadly close up, shotguns are an excellent complement to long-range weapons. 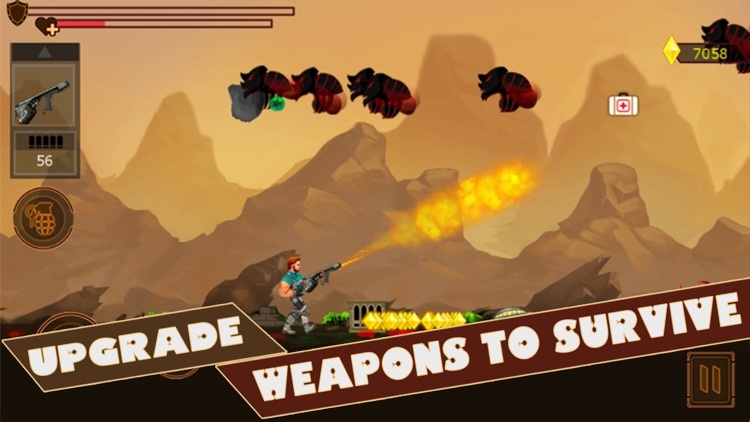 Harpoon Gun – Harpoon gun is low on ammo capacity, but has an extremely powerful harpoon shot. The harpoon pierces through queues of enemies, damaging all of them. 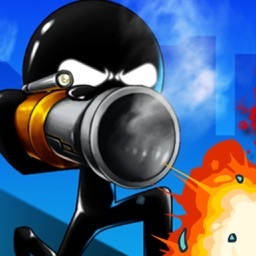 Flame Thrower – The most powerful weapon in the game, this gun creates deadly flames that constantly keep damaging all the enemies they touch. RPG – RPG is very powerful and explodes upon impact damaging all nearby enemies. However, the low ammo size or RPG renders it capable of becoming only a special weapon and you can not rely on it as your main weapon. Pistol – The main benefit of pistol is that it has very good range since the beginning. It can be very strong against flying aliens. Pistol also has unlimited ammo, which makes it your ultimate backup in case you run out of ammo for your primary gun. Sub Machine Gun – Fully-automatic and affordable, this weapon is a perfect choice when you don't have enough coins to afford a machine gun. Sawed-off Shotgun – Just like its longer counterpart, this weapon has a short range and high damage.